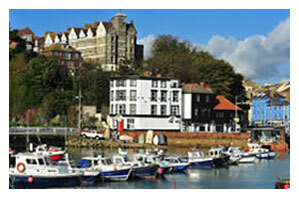 Folkestone Hotels is the Official web site of the Folkestone, Hythe and District Hotel and Catering Association. 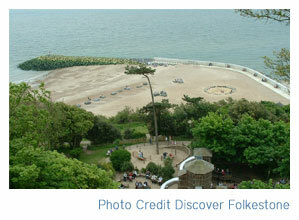 If you are planning a visit to 'The Garden Coast of England', then Folkestone is the place to be. 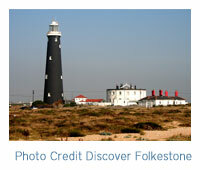 At FolkestoneHotels.com we provide some information to help you access quality accommodation. There are ones to suit every taste and pocket. We also have information about the activities and attractions in the area. 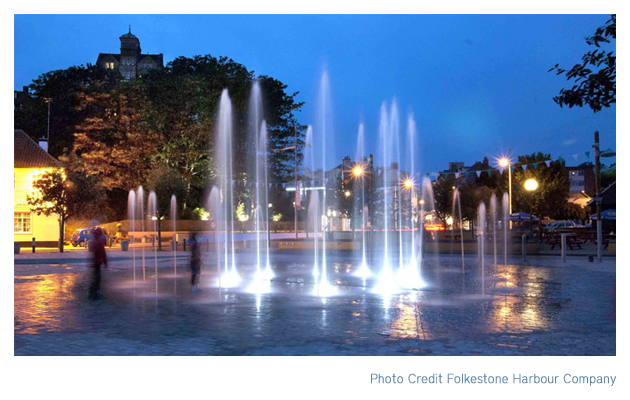 There is so much to see and do in Folkestone and the surrounding areas, that we feel sure you will become a regular visitor. For the best rates always contact the accommodation providers direct. In the Folkestone district you will find many fine restaurants, friendly pubs, and inviting cafés many of which are in Folkestone Hotels which also offer clean, comfortable and welcoming accommodation. 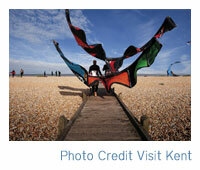 Folkestone is perfectly based for visitors exploring Kent. In years gone by Folkestone was a Royal holiday destination. These days the Channel Tunnel connects Folkestone to mainland Europe making it a very exciting destination indeed, attracting visitors from around the world. Place of interest include the world famous White Cliffs of Dover, which have for centuries played a major role in Britain’s history, provide a welcoming sight for many millions of people who come to look at them from the beach. Also enjoy the wonderful walks and superb views. Browse the pages of our site for more information on the many places of interest that are attracting millions of visitors to Kent every year. Folkestone has everything from museums and fully operational steam engines. All within easy reach of hotels and guest houses in Folkestone. 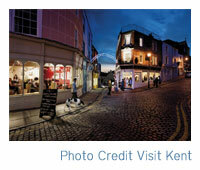 A half hour on the scenic old Roman Road will bring you to the cathedral city of Canterbury. Both the Port of Dover and the ancient Cinque Port town of Hythe are also only 15 minutes away, the historic and mysterious villages of Romney Marsh just beyond that and London is within an hour and a half via the M20. Or do it the easy way and take the train. For those travelling onto the Continent it is a 5-minute drive from Folkestone town centre to the Channel Tunnel (Chunnel), from which point you can be on the French roads in less than an hour. Folkestone and many of the villages along the Kent coast provide many opportunities for diving, angling and even a relaxing day in a boat. Folkestone accommodation has much to offer their guests, having neighbouring seaside towns and inland villages, which are famous for their festivals and entertaining events such as colourful carnivals, country fairs and farmers'' markets as well as sports meetings. For those with a keen interest in nature there is the world famous Dungeness Nature Reserve, which is the RSPB''s oldest, and events run throughout the year by the Kent Wildlife Trust, plus a nearby zoos and wildlife parks.